Expectations this year for the European H.O.G. Rally in Cascais, Portugal were very high, especially after the amazing time we had the previous year in Biograd, Croatia! Some said Croatia was the best rally they have ever attended and it would be hard to beat, but boy did the H.O.G. organizers exceed all expectations and deliver a truly superb event. 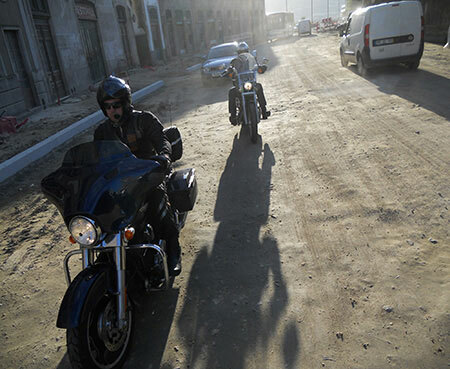 Riding into the rally site under the Harley-Davidson banner is always a special moment for me. Crossing it this time, I knew that this rally was going to be one of a kind! 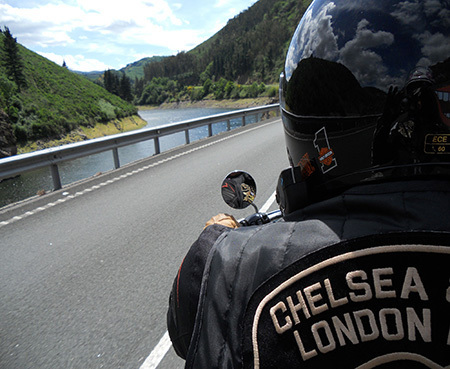 Our Chapter, Chelsea & Fulham had organized a party for all members at a cozy bar in Marina Cascais, which was a great opportunity for everyone to get together and share their ride down adventures. 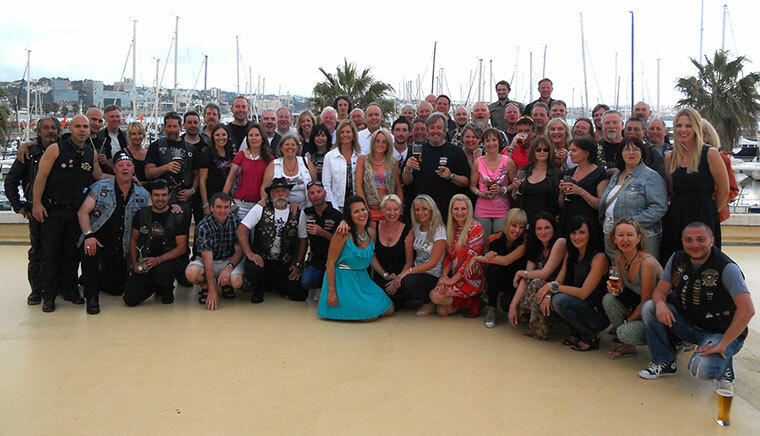 One hundred and ten C&F members turned up at the party, which was our biggest event overseas. Makes me really proud to be a part of this unique Chapter, it’s as diverse and cosmopolitan as the great city of London, which we represent in the Harley world. The party had a great start, Steve Martin and Richard Rufnell surprising everyone with the announcement of them winning four individual Chapter Challenges and presenting us with the trophies! Our winning streak increased by Gary France getting first prize in the custom bike competiton on his Warr’s custom and his son Charlie securing first prize in the best sportster competition. So let’s just say we had a lot of celebrating to do! After our chapter party everyone hit the main stage where The Bogus Brothers were doing a fantastic job rocking the crowd. The atmosphere was great and lasted until the early hours of the morning. Next day some of us just cured their hangover, others went on a coastal ride, to cure their hangover and some went surfing! Yes you guessed it, to cure their hangover. Turned out that the celebrations must continue as H.O.G. announced that Chelsea & Fulham Chapter are the Euro Chapter Challenge Winners 2012 and to be presented a trophy on the main stage. Peter Scott, our Safety Officer accepted the trophy and couldn’t help mentioning to the crowd that “we were known as the Chapter that never crosses the M25 - looks like we’ve come a long way”. What a rally!! Thank you H.O.G. for the wonderful experience and the time of our life! Thank you Warr’s, our Sponsoring Dealership, for helping the Chapter spread its wings. See you all in Rome next year. I’m already ticking the days off the calendar.